Fluorogistx, the exclusive authorized U.S. distributor of DuPont™ TEFLON® brand fluoroplastics and other DuPont fluoroplastic resin products, has announced the addition of Robert D. (Bob) Smith, formerly of DuPont FluoroPolymer Solutions, as Vice President of Sales and Marketing. 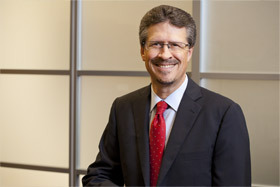 Smith, who reports to David Jones, president and founder of Fluorogistx, joins the senior management team bringing more than 30 years of DuPont experience, primarily in fluoroplastics and most recently as Business Director and Sustainability Manager for DuPont FluoroPolymer Solutions. His experience includes both U.S. and global management of sales and marketing teams within the company’s fluoroplastic businesses, and helping DuPont to maintain its global market leadership position throughout his career. At Fluorogistx, Smith will build on his successful track record of leading teams and delivering strong results by focusing on advancing market development and customer focus to provide tailored solutions – for TEFLON® brand fluoroplastics and more.